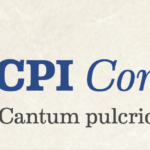 A searchable catalogue of 12th- and 13th-century Latin conductus (liturgical poems not based on preexisting chants and set to music for one, two, or three voices). The catalogue may be searched or browsed by the incipit of the conductus, source manuscript, stanzaic form, syllabis/melismatic, and stanzas transmitted. Each entry includes the author, title, and text, information about editions if available, and manuscript witnesses, some with linked images on third-party websites (copyright may vary). Includes works by Alain de Lille, Bernard of Clairvaux, Peter of Blois, and many others, as well as many anonymous poems.